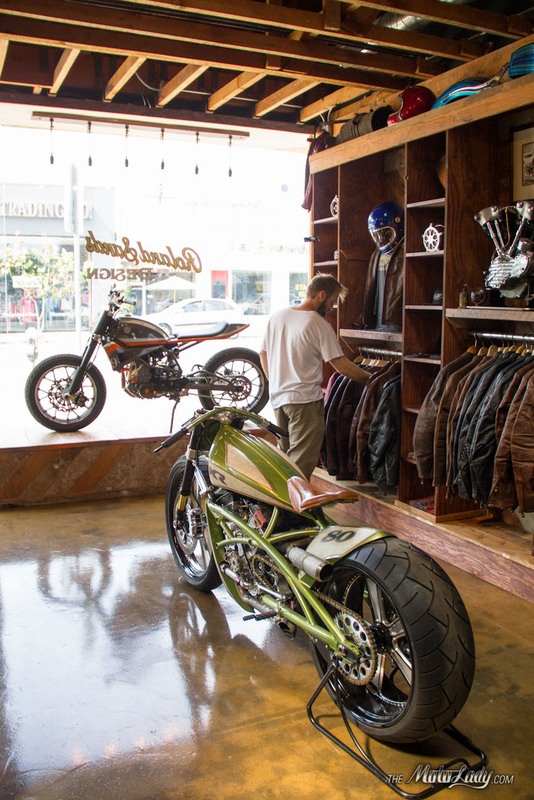 As to be expected in Los Angeles, the retail space was relatively small- however well laid out and with what I suspect to be a sneakily large back shop area. 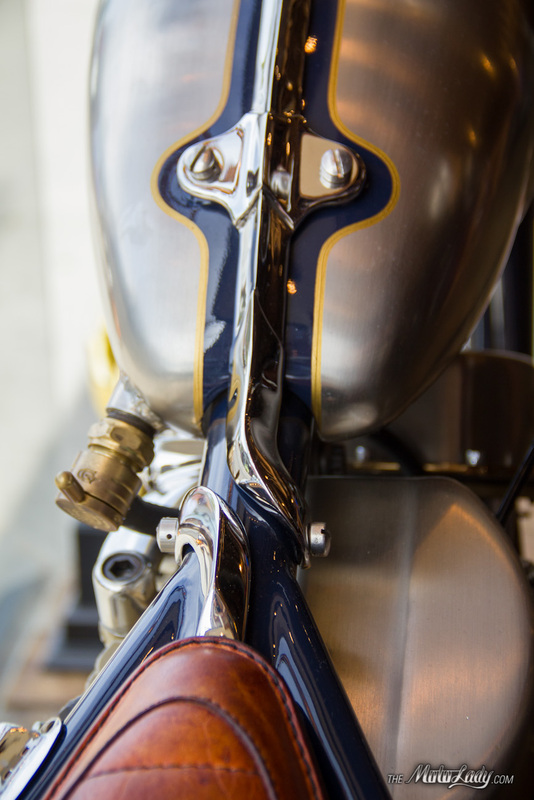 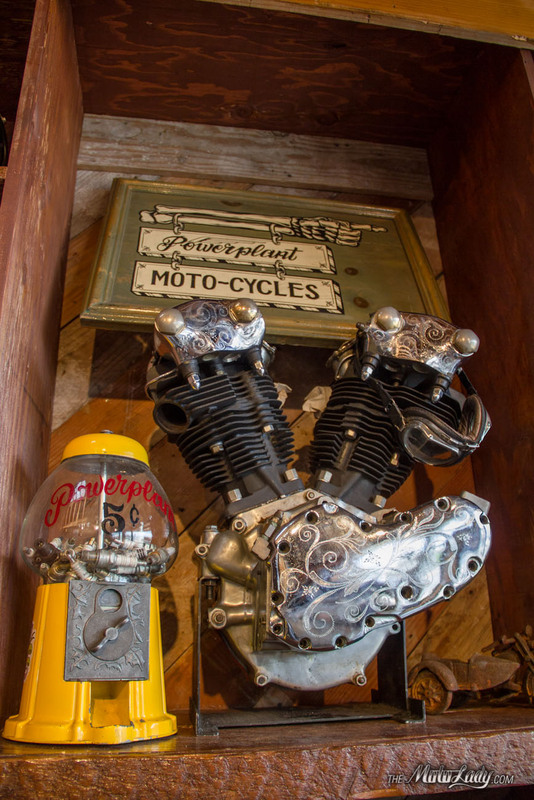 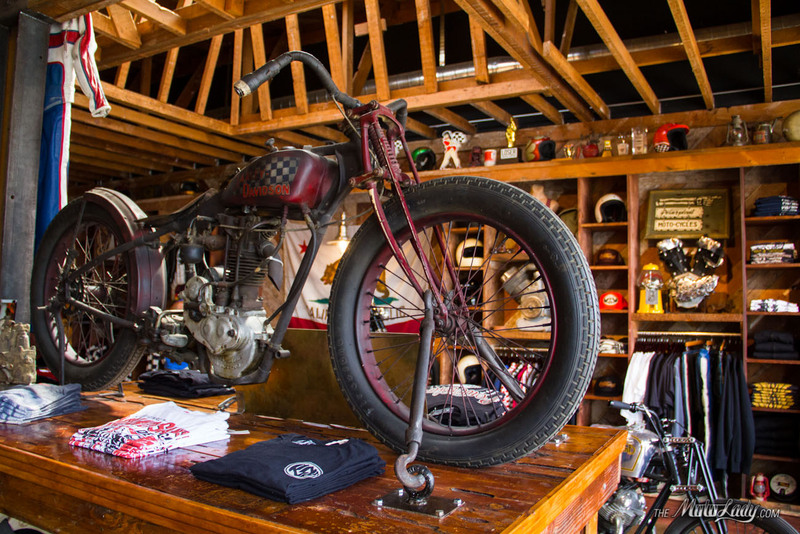 They did an excellent job at artfully filling the space with new and old motorcycle trinkets, art, and oddities. 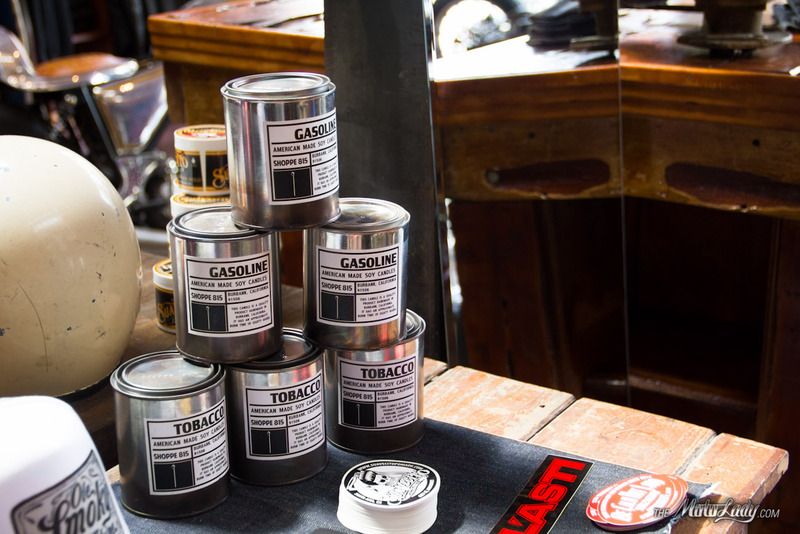 Things for your home, even… including gasoline and tobacco scented soy candles. 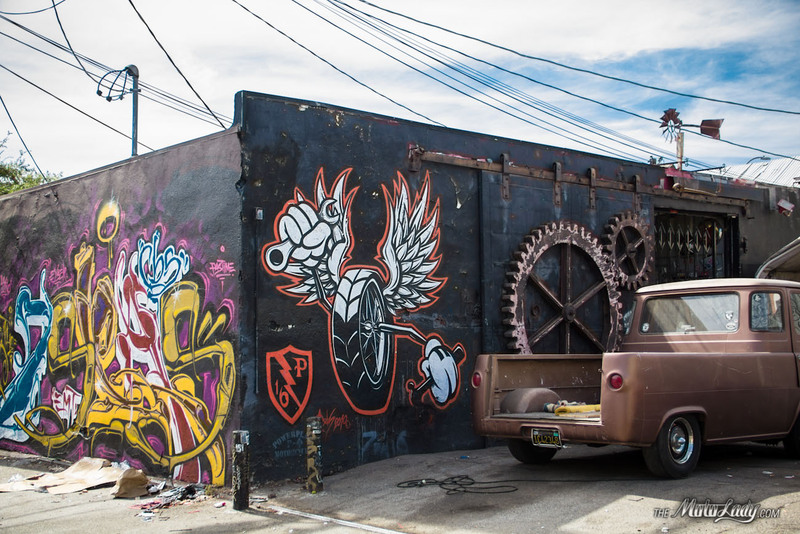 Around back there’s some awesome street art by their garage entrance. 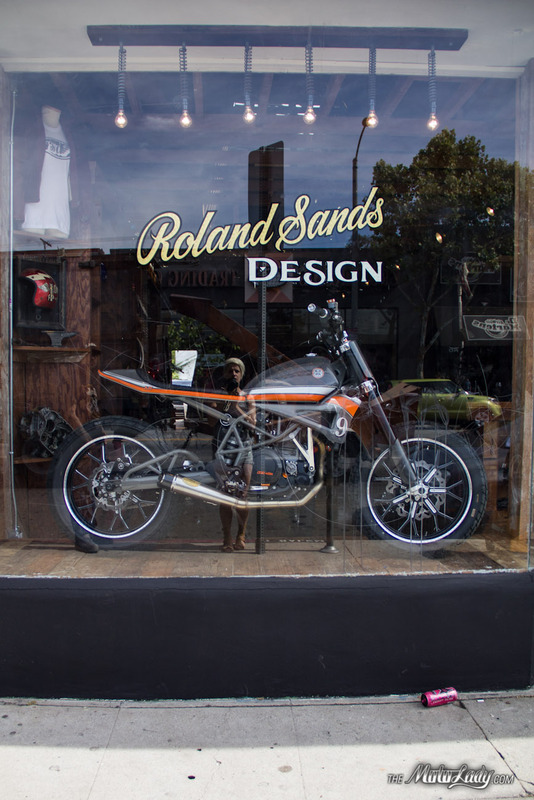 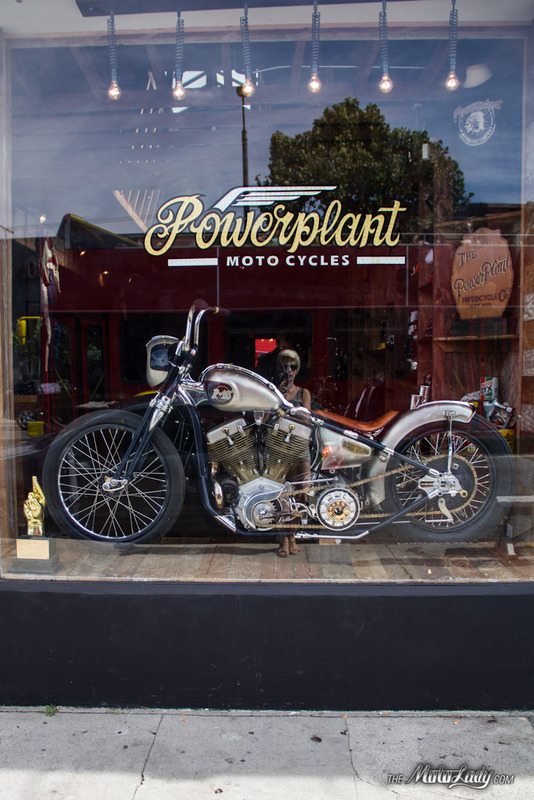 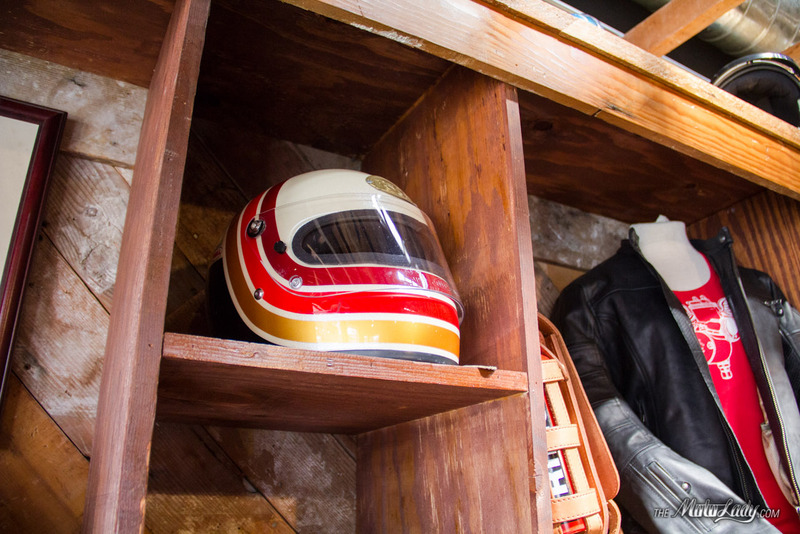 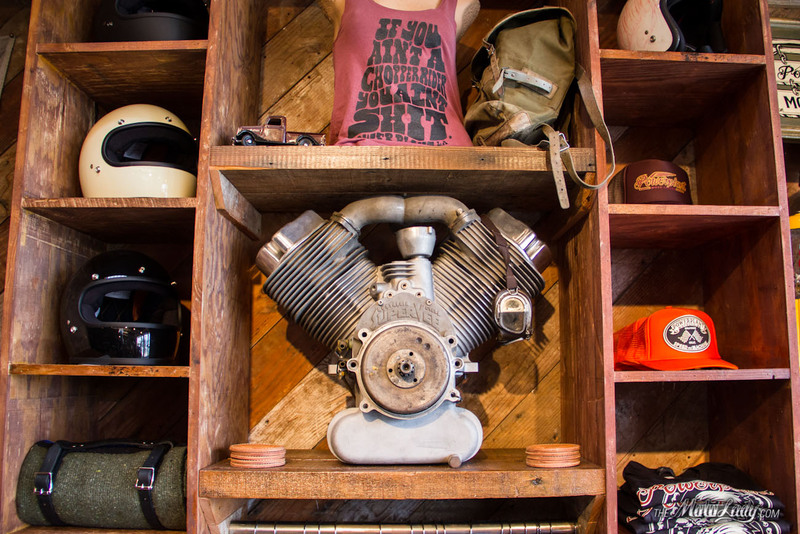 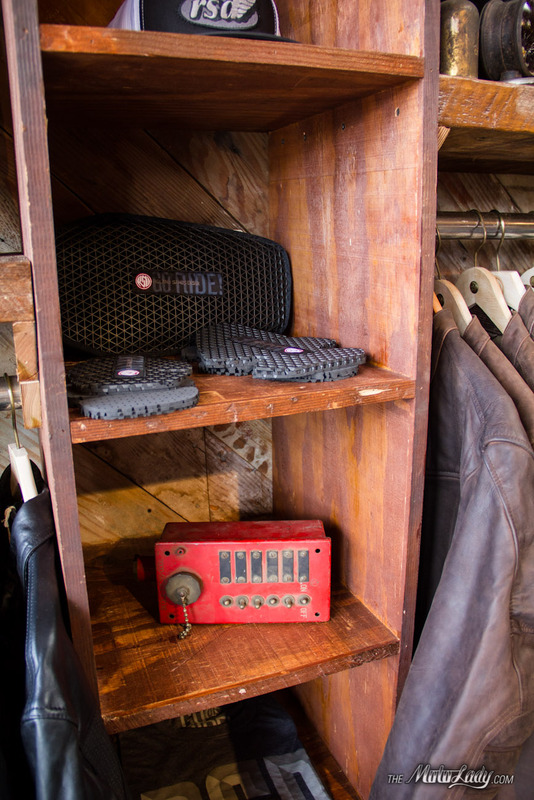 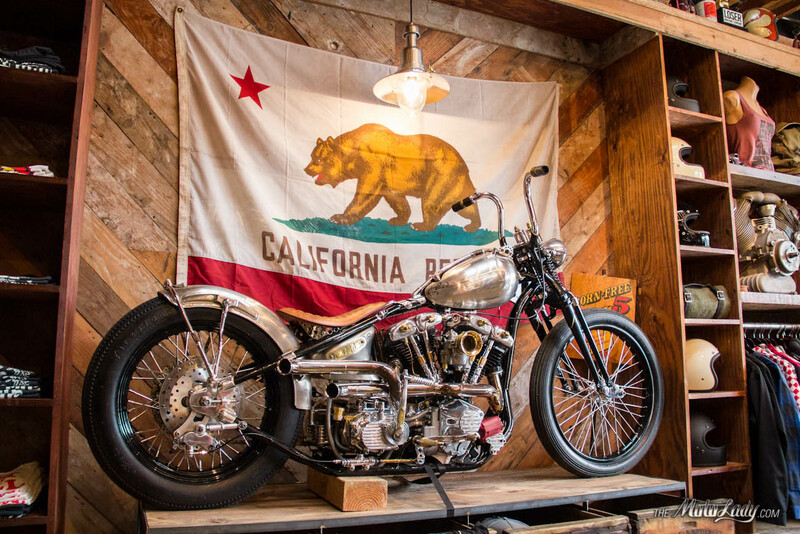 Definitely a cool shop- you can get yourself some Roland Sands riding gear, Suavecito Pomade, fancy camping blankets, clothing and more. 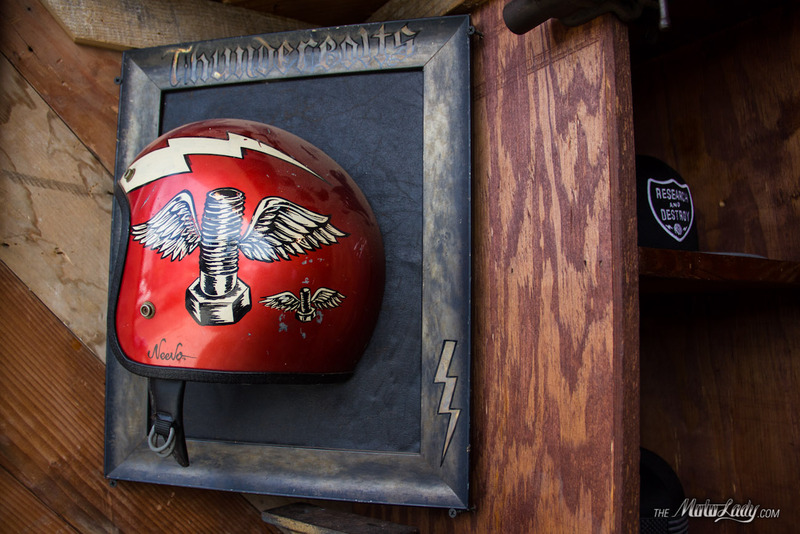 Photographs by Alicia Mariah Elfving, copyright themotolady.com 2014. 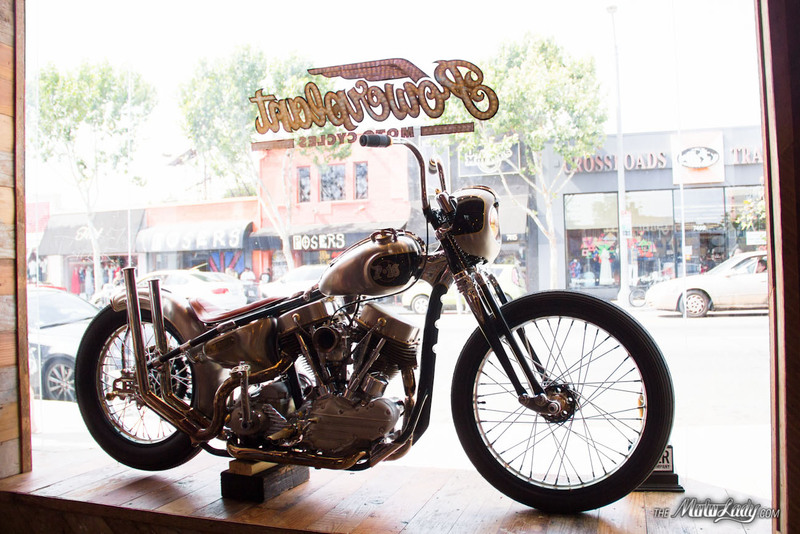 Awesome, another place to buy $200 skinny jeans, $50 t-shirts and brouge boots.